Suburban residential and commercial development is projected to convert 19 million acres of forest between 2020 and 2040 and increase forest fragmentation. In some areas of the South, forest extent may expand as agricultural land reverts back into forest, but this trend will not sufficiently offset forest loss due to development. Climate change may have a number of impacts, including shifting the distribution of some plant and animal species, increasing invasive species threats, inundating low-lying coastal forests, intensifying droughts, and exacerbating wildfire dangers. Wildfires remain a risk as a consequence of decades of suppressing natural, low-intensity fires. Outbreaks of pests and pathogens—such as the gypsy moth, hemlock woolly adelgid, sirex wood wasp, butternut canker, emerald ash borer, laurel wilt of redbay, and many more—will affect numerous types of trees—such as oak, hemlock, pine, butternut, and ash—and may alter forest species composition. Invasive species—such as cogon grass and Japanese stiltgrass—threaten to crowd out native species, alter natural ecosystem processes, and increase wildfire risk. Increased education and capacity building. Some measures, such as voluntary development offsets or transferable development rights, have been piloted in a few locations but have yet to be scaled up. Which of these incentives and measures show the greatest promise for sustaining southern forests and their ecosystem services? What are the barriers southern forest owners face that limit utilization of these measures? How can these barriers be addressed? How can emerging incentives be piloted in the region to demonstrate effectiveness and refine incentive design? How can incentives that have successfully been piloted in a few instances in the region be scaled up? What other innovative incentives for sustaining forest ecosystem services are being pioneered elsewhere that could be replicated in the South? How can awareness of these incentives and outreach be improved? Outlines a number of markets, incentives, and practices that might help ensure southern forests continue to provide a full range of ecosystem services into the future. Although public policies have an important role to play in sustaining southern forests, this publication focuses on non-policy measures. Southern Forests for the Future is designed to serve as a resource for conservation organizations, concerned citizens, landowners, academic institutions, the private sector, government agencies, and others involved with forest stewardship. 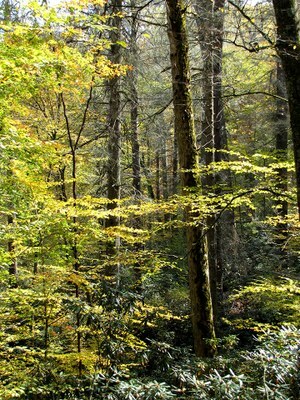 Additional information and resources are available at www.SeeSouthernForests.org, an online interactive information portal developed by the World Resources Institute (WRI). The site includes satellite imagery of southern forests, detailed interactive maps on forest features and drivers of change, case studies, historical photos, and other data. With this information publicly available, WRI aspires to raise awareness of the importance of these forests and help empower stakeholders to implement innovative measures that will ensure southern forests for the future. Hanson, C., L. Yonavjak, C. Clarke, S. Minnemeyer, L. Boisrobert, A. Leach, and K. Schleeweis. 2010. Southern Forests For the Future. World Resources Institute, Washington, D.C.